Reviews — Ruddy Man Beard Co. Hear what others have to say about Ruddy Man Beard Co. See the difference! Send us YOUR Ruddy Man beardie here! Want to join The Ruddy Men? Join the conversation! "Have a beard and or moustache? This is the product for you!!! Quality ingredients with an affordable price that keeps the beard on point! Beta tested.....Dave approved!!!" "If my beard could talk, it would say it loves you." "Ruddy Man Beard products get the Beards, Songs, & Theology Podcast seal of approval!" "Wonderful cool feeling to beard and skin. Wonderful smell, too! Top notch product that is highly recommended!" "As an avid user of beard products, this ranks up there among the best." "I'm in love with it. It really makes it look fuller. I bet I have 6 different bottles...I like yours best." "My beard belongs to #RuddyManBeards." "I am growing my first complete beard and the products from Ruddy Man have been a great addition. The beard oils really have helped with the feel and texture of the hair. The beard balm works wonders on forming and keeping the hairs tame. I would surely recommend any product in the company line." "Love the Ruddy Man products! 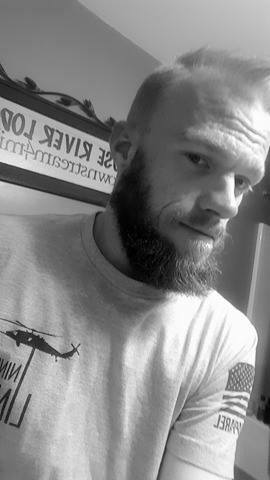 Love the smell of the Red Wolf oil, and my beard has never felt so soft."